All articles in this journal must undergo anonymous peer-reviews. 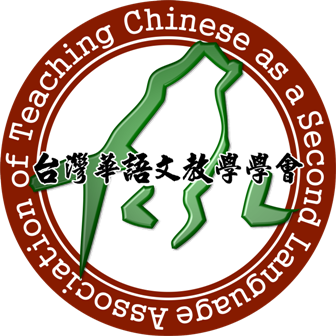 Articles in both Chinese and English are accepted. Articles submitted to other publications or published elsewhere will not be considered. In order to ensure that peer review is anonymous, no information that may reveal the identity of the author should be included in the article. Information about the author should be sent separately. This includes the Chinese and English titles of the article, the author’s institution, and contact information. The electronic version of the article should be an MS Word document, and the encoding should be Big-5, Unicode or GB. Only one encoding may be used in a single article. The article should be no longer than 30 pages (on A4 paper), or 20,000 Chinese characters. Chinese and English abstracts must be included (approximately a quarter of a page to half a page long). There may be no more than 6 Chinese and English keywords. Documents will not be returned once they have been submitted. Please keep your own copy. Chinese should be written in MingLiU, KaiU or SimSun fonts. English should be in Times New Roman. Same-page notes should be in PMingLiU. All headings should be numbered as follows: 1, 1.1, 2, 2.1, 2.1.1, etc. Headings do not need to be indented. Example sentences should be indented two spaces, and numbered as follows: (1), (2), etc. A list of references should appear at the end of each article, with Chinese and English sources listed separately, Chinese before English. Chinese sources should be sorted according the number of strokes in the author’s surname; English references should be in alphabetical order. Titles should be in italics, for example: Dream of Red Mansions. It is recommended that Hanyu Pinyin be used for romanizations. Authors may use whatever romanization they typically use for their own names. Romanizations that are commonly used or widely recognized in academia are also acceptable, e.g. : Chao Yuen Ren.